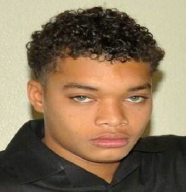 Police are seeking the public’s help in locating 17 year old Trevonte Rashad Taylor of 27th Avenue, Miami, Florida, who was reported missing by family members. Taylor is of a light brown complexion, 5’9” tall and of a slim build. Anyone with information on the whereabouts of Taylor, especially persons on the island of Grand Bahama, is asked to contact the police immediately.